Sometime we need to send some files secretly to our friend and we don’t want others to peep in. But it’s not so easy for a common person to hide files in pictures. Most of the people will search for the software to perform this task an it can be easily spotted by others. The most simplest and easy to use way is just hide them behind images. I don’t think there will be any other method which can be more easier than it. Just hide the file inside a image and send it to your friends. Just follow the step by step process below and enjoy. Note:- Before coming to the process of hiding files in pictures you will need to perform one task. You will need WinRar installed on your PC or Laptop. If you are having it already on your system then it’s fine otherwise download the latest version from Here. Now let’s start our step by step process of hiding data in images. 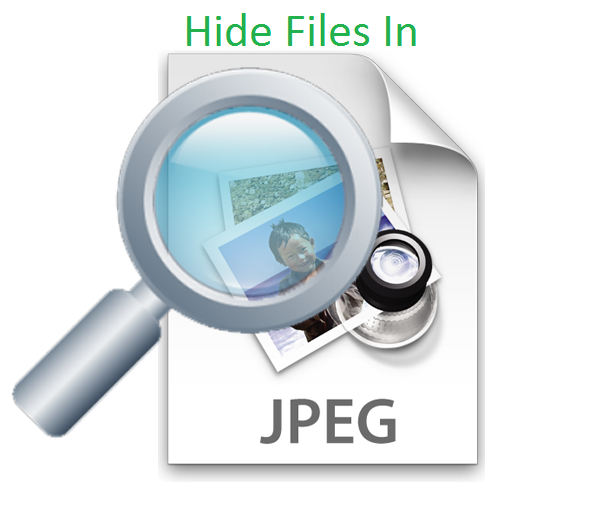 Step 1: First of all create a folder with files that you would like to Hide in an Image file. Lets say I have created a folder naming as “My Folder” with some files in it. Now Right Click on the folder and select Add To Archive. Select RAR as Archive format and click OK. 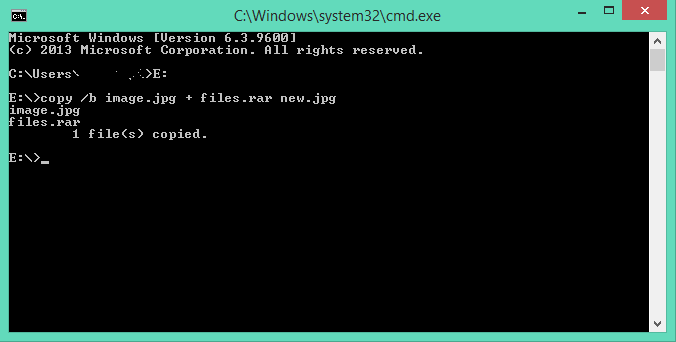 Step 2: Now you will notice a rar file with name files. Lets say now you have an image with name “my image,jpg” in which you want to hide files. Just Copy both My Folder.rar and my image.jpg and paste them in any drive of your system. Step 3: Now press Window Key+R and type cmd in the search box. Open cmd. If your files are in C drive then type C: and press enter. This is the important step “copy and paste the code below as it is” and press enter. (Just Change The Name Of Files And Image According To Your Need). Step 4: If you have followed each and every step then there will be a new image with name as “new.jpg“ in your drive. See the screen shot below. You will notice that the size of image has increased. When you will open it you will just see the picture nothing else. Now i will show you the process to access the data hidden behind the images. How To Access The Files Hidden In Images? You know that the file is in jpg format so we will first Open WinRar archiver, Click on File and Select Open archive. Now Navigate to the Path where you have saved new.jpg file which will be Drive “E”. Now make sure to select All Files from the drop down, so that it displays the new.jpg file too. Select it and Click on Open, There you will see a folder with name files, Open it and there are your Hidden files. Previous articleHow To Disable Blue Seen Tick Marks In Whatsapp?